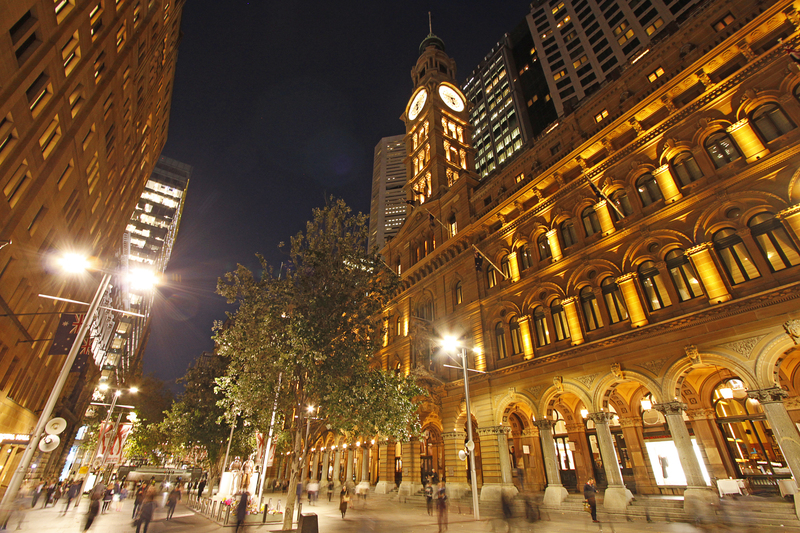 GPO Grand is open during this year’s VIVID Sydney Festival, offering a diverse collection of award-winning restaurants and bars in Sydney’s iconic GPO building at 1 Martin Place. From the 26th of May to the 17th of June, guests can choose from 12 fine dining restaurants, casual dining venues and sophisticated bars, before taking in the sights and sounds of the world’s largest celebration of light, music and ideas just a stone’s throw away. 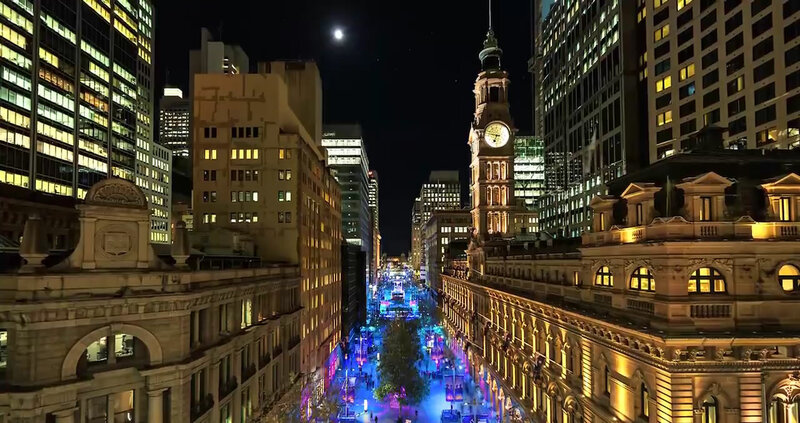 Highlights of this year’s installations on Martin Place between George and Elizabeth Streets include UrbanTree 2.0, a glittering tree home to exotic creatures; Lux Populi, a tree of light created with a kilometre of luminous neon rope; Atmos, a recreation of the Aurora Australis with glowing ribbons; and re/FRACTION, a continuous show of light refracting across the length of the Lloyd Rees fountain. Prime Restaurant – Awarded Best Steak Restaurant in Sydney by the Restaurant & Catering Association for 14 years, Prime offers the most extensive a la carte steak menu in the world, a premium meat-only degustation menu and over 350 varieties of wine. Intermezzo Ristorante – Awarded Sydney’s Best Italian Restaurant in 2010 and 2015 by the Restaurant & Catering Association, Intermezzo offers a slice of Italy in the heart of Sydney with al fresco dining, white-jacketed waiters and traditional Italian cuisine. 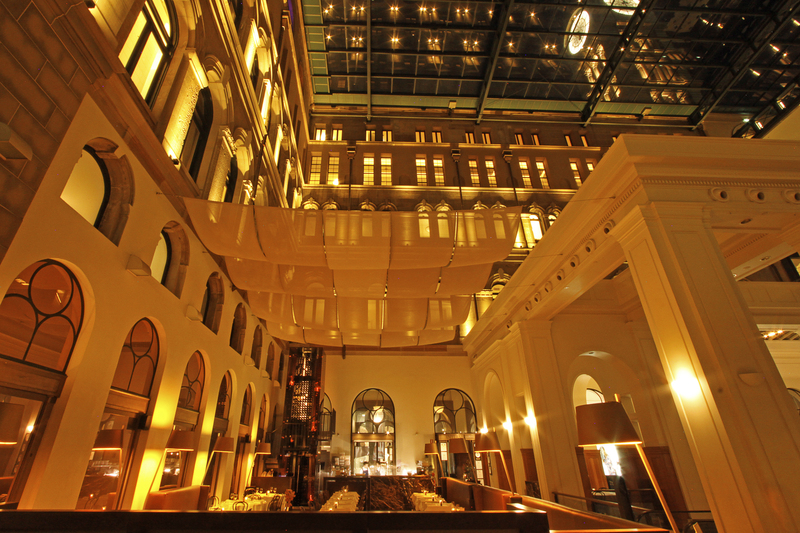 Postales Restaurant – Postales offers authentic Spanish tapas, paella, churros and sangria in a sophisticated underground setting, and was Awarded Australia’s Best Tapas Restaurant by the Restaurant & Catering Association in 2015. GPO Cheese and Wine Room – Known as Sydney’s ‘Temple of Cheese’ and awarded Sydney’s Best Wine Bar for 2016 by the Restaurant & Catering Association, GPO Cheese & Wine Room offers over 100 seasonal cheeses, 250 international wines. Subterranean Bar and Grill – A warm underground tavern serving authentic Greek and Mediterranean delicacies from the barbecue grill, priced from $10.50. Sosumi Sushi Train – Sydney’s longest running sushi train, serving fresh sashimi, gourmet rolls, tempura, teriyaki and teppanyaki prepared on the open train, priced from $7.70. GPO Pizza by Wood – Traditional Italian wood fired pizza from $13.50. GPO Oyster Bar – Fresh seafood and quality Sydney Rock and Pacific oysters from $18.50. Coach Bar – Warm and intimate underground bar with beer on tap and by the bottle, selected wines and cocktails. Crystal Bar – Stylish yet understated, with crystal halos suspended from the ceiling and padded leather nooks, serving signature cocktails. GPO Middle Bar – Enjoy a wide variety of sparkling wine, champagne, white wine, red wine as well as tap beer, imported beer and local beers. Postales Bar – Nestled next to Postales Restaurant, it’s the perfect spot for a relaxing cocktail with friends.